I am often asked about Omega-3 Fish Oils. Do I need them? What are they for? What is the best kind? Omega-3 fats come in two forms – Eicosapentanoic Acid (EPA) and Docohexanoic Acid (DHA). These are not made in the body and thus need to be consumed from an external source. Reduce the risk of heart diseas and stroke. Reduce LDL levels and increase HDL levels (by up to 44%). Protect the brain by increasing concentration ability and reducing the rate of alzheimers development. Reduced inflammation and pain in Rheumatoid Arthritis. 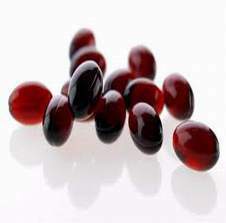 Krill oil is probably the best source of Omega-3 fats on the planet. 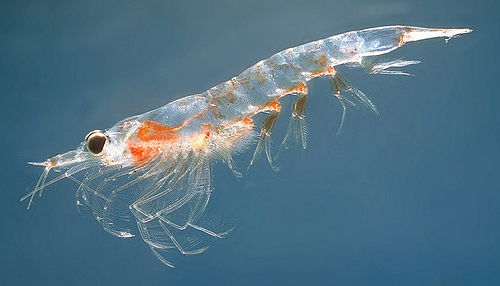 Logically enough, Krill Oil comes from Krill, which are tiny shrimp-like crustaceans which inhabit the depth of the Antartic and North Pacific oceans. Despite being so small, Krill make up the largest animal biomass on the planet. Krill oil contains both EPA and DHA – but unlike other fish oils, they are ‘put’ together in a different fashion. Krill oil exists in a double chain phospholipid structure – very similar to our own cell membrane structure. This allows for a much easier entry into the cell in order for it to be used. One of these chains also contains a molecule called Astaxanthin. This is a potent anti-oxidant and has been shown to protect against UV light. It is this molecule that makes Krill oil almost 48 times more potent than other fish oils.Due to the rapid absorption and high anti-oxidant content, there is rarely any fishy burping or poor after-taste often experienced with fish oils. What are the downsides? Well, for starters, it is more expensive; but you get what you pay for. Virtually all Krill oil is produced by Neptune Technologies. This Canadian company currently holds the patent for Krill oil extraction. It is then shipped worldwide to various manufacturers to be bottled and sold. This is advantageous as it means that both the dose and quality remains constant despite the brand. In short, not all fish oil is created equally, but Krill oil is.